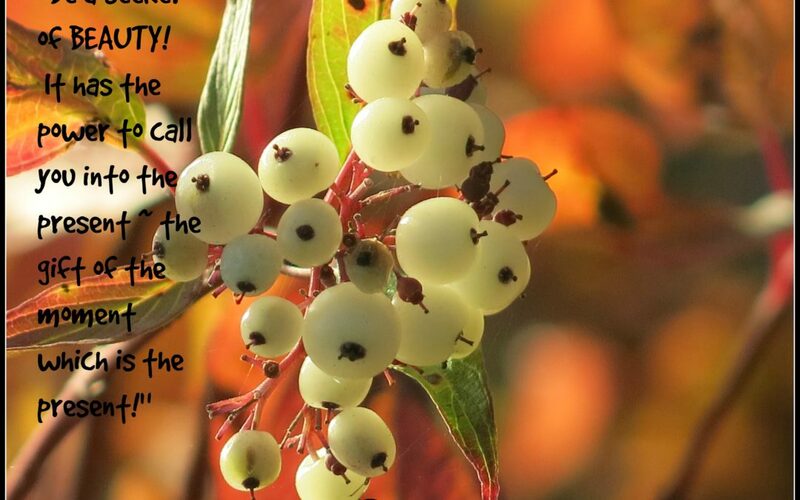 May this early morning sun kissing photo of the dogwood berries, breathe life into you and bring you deeply into the present moment which is all that there is! 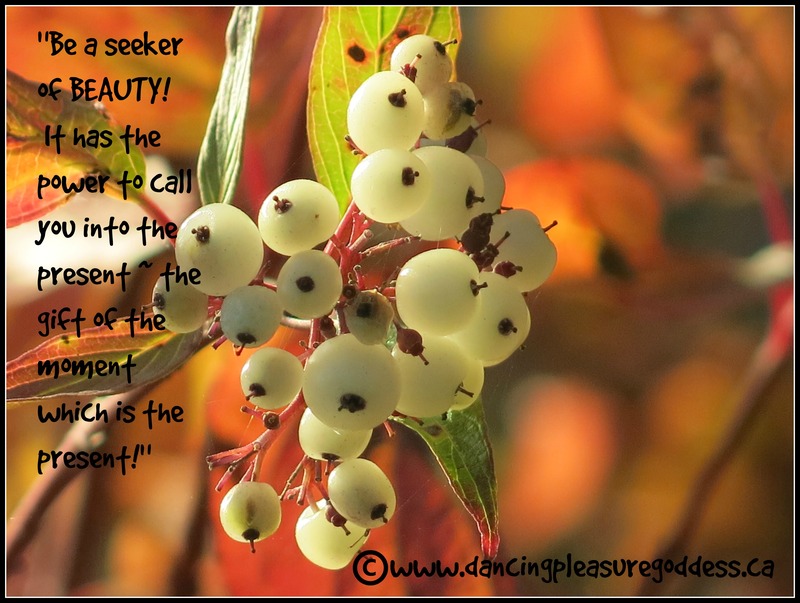 Be a seeker of BEAUTY! Simple beauty is everywhere, we just need to get down low on the ground, pause long enough to truly see & our hearts will be cracked wide open. Beauty has the power to call you into the present ~ the gift of the moment which is the present! Another chapter for my forthcoming book is emerging however I couldn’t wait to share this masterpiece with you now… to inspire you! Take time to BE in nature. Nature has the power to heal us. Beauty has the power to “arouse you by divine influence”, or to “exert a stimulating or beneficial effect upon you.” Let beauty INSPIRE you! Take time to be a seeker of beauty! Go outside now! Shut your computer off! 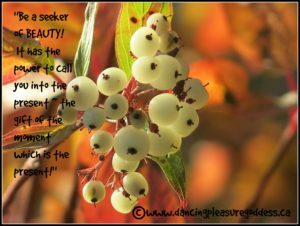 Go be a seeker of beauty! Please type “YES” if this served you in some way! All comments welcome & appreciate!